Evlat is a quest expansion mod with a main story. Your two children are your companions throughout the game. All of the other companions in Calradia are in various roles and they give you new quests. The claim holders like Isolla, Valdym are a king/queen in 1277. There are 6 new bandit groups also 6 war groups supported by former kings like Harlaus, Yaroglek. The rulers had been unchanged for many years. Because, the throne claimants couldn't find the their true supporters. Finally, they tried another way. They partnered with the strongest bandits of Calradia. The rulers lost their thrones one by one. Finally, the claimants reached their goals but an another problem appeared. The bandits was lawless men and they broke the agreement. Now, Calradia has more stronger bandits and former rulers are infected with rage. -Main quests: The first quest we received at the beginning of the game in story mod and the other quests we have to do to finish it. -Side quests: They are random quests and they have no effect on main quest. -Dream quests: Fantastic quests given to us when we are dreaming. -Fishing, mining, woodcutting and farming also being a trader in Lokti market place. We can learn those locations by talking the tavern keepers. -Being tired: We are tired (losing HP) by the difficulty of the work we do. -Key skills: Athletics is the key skill for fishing, trade skill is for working in Lokti market place and power strike skill is for the other jobs. -Boat: We can fishing on a boat. Use the arrow keys to move and use the O key to stop the boat. -Flying Carpet: We will see a flying carpet in one of our dreams. Use the arrow keys to move, use the O key to stop and use the U key to take-off the carpet. We can ask help from other kingdoms by ravens. Our relationship with the king and kingdom determines the chance of a positive response. We must finish the tunnel construction to go to Geroia Inn. We must to pay a certain fee to the lord of Asugan Castle on each pass. We must to do Marnid's quests to be a Caravan Master. We must to do Deshavi's quests to be a Slaver Chief. Hiring troops requires positive honor. Joining a bandit group requires -10 honor and 100 renown. If we are successful at the quests, we are able to hiring troops and getting some awards. We can learn the new bandit leaders's locations by talking the tavern keepers. We can join to the old bandits by talking Baron Rolf in Dhorak Keep. Joining a war group supported by any former king requires +10 honor and 100 renown. If we are successful at the quests, we are able to hiring troops and getting some awards. We can learn their locations by talking the tavern keepers. When we won battles with low advantages several times, our tactic skill is rising. Prisoner management, trainer and spotting skills show progress as long as we are successful at the quests associated with them. What is your favourite minor faction? Full version of Evlat 1.21 for Warband 1.161 or higher. 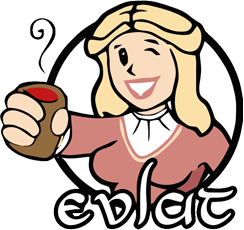 Full version of Evlat 1.1 for Warband 1.161 or higher. It's for versions of Evlat 1.0+ and it is NOT save game compatible. Fixed missing companions bug. It's for versions of Evlat 1.0+ and it's save game compatible. Full version of Evlat 1.0 for Warband 1.161 or higher. Full version of Evlat 0.6 for Warband 1.161 or higher. hey i was just wondering, were companions disabled? I cannot find any whatsoever even after cheating and checking every tavern and not one companion. I looked in the editor and i found the companions, with some being labeled as merchant and such. I was wondering if it was possible to get companions or not or it is just a bug. They're in the inn's and white places like where you started. Can't hire. I don't understand, what is this mod actually about? Hey dude, I juste wanted to say, how do I drop off Lady Asalit to get the tea? I've healed her by Jeremus. Another thing is, why do the Dark Knights say, We have a score to settle with you, without me putting up a fight? They just capture me and I become their slave, and am sold to Ramun. This happens when I kill too many Dark Knights, or become a Loyal Knight of Harlaus OR when I'm just waiting on the map. Is this a bug? Please help me but I mainly want to know how to drop off Asalit and get the tea. Thanks. Best campaign mod ever.Nice story,new stuff.This mod deserve 10/10. The mod has a great scenario. I recommend you to download and play it. Trust me, it is worth to spend time for playing.